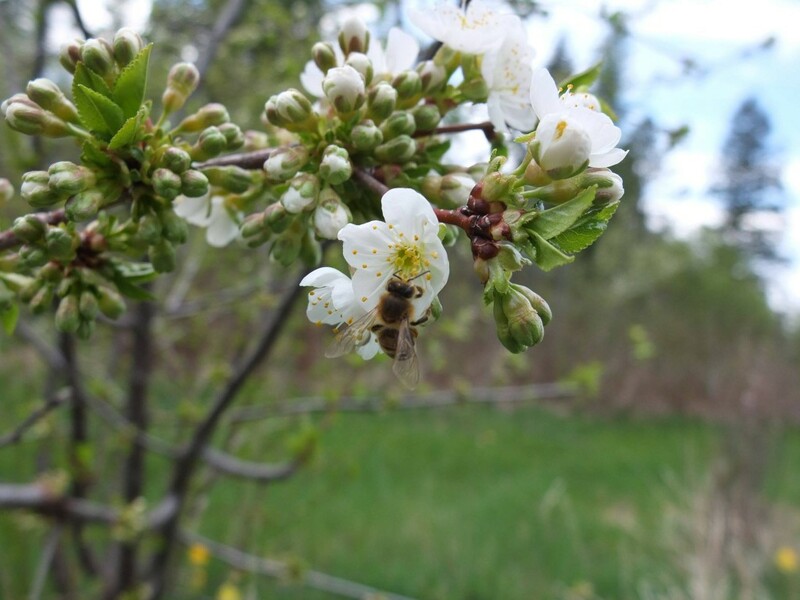 Come have fun and develop hands-on experience with one of Canada’s most experienced forest gardeners in our one-acre cold climate food forest, just 35 minutes from Cranbrook, and 50 minutes from Fernie, BC. 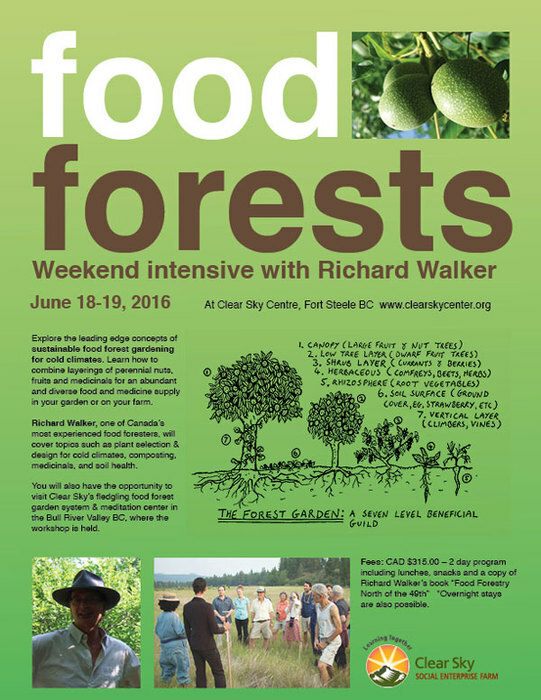 Richard is a food forester, designer, herbalist and teacher with over 30 years experience. He has designed community and private forest gardens throughout BC. He spent his early years as an organic farmer in Alberta. He later moved to Grand Forks BC where over 20 years he transformed his 3 acre property from a bare horse pasture into a lush self-sustaining forest garden with over 400 nut trees and seven storeys of food and medicine bearing perennial plants and vines. 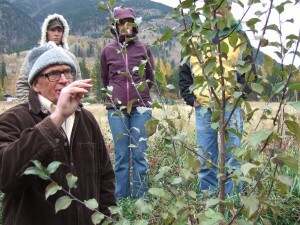 Having converted a degraded piece of land into an abundant mix of rare, unique nut, fruit and medicinal plants from all over the world, he is one of Canada’s most experienced food foresters. Richard shares his studied and practical experience in a respectful and approachable manner to inspire grower enthusiasts and save many from years of trial and error. He also has a great depth of herbal medicine knowledge and has developed herbal medicinal tinctures and teas for over 25 years. He shares his knowledge of plant biology to promote healthy living through the philosophy of food and herbs as medicine. What really adds to Richard’s credibility is that he lives as he teaches. He lives simply, creatively using his skills to bring food from the soil to the table, and in doing so teaches us how food and plants create a culture of true sustainability. 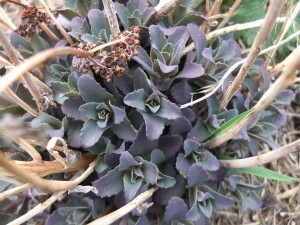 In his own words “gardening for a 1000 years”. He loves to share this vision as a model for communities and individuals who are inspired to grow themselves in environmentally friendly, self-sustaining ways. 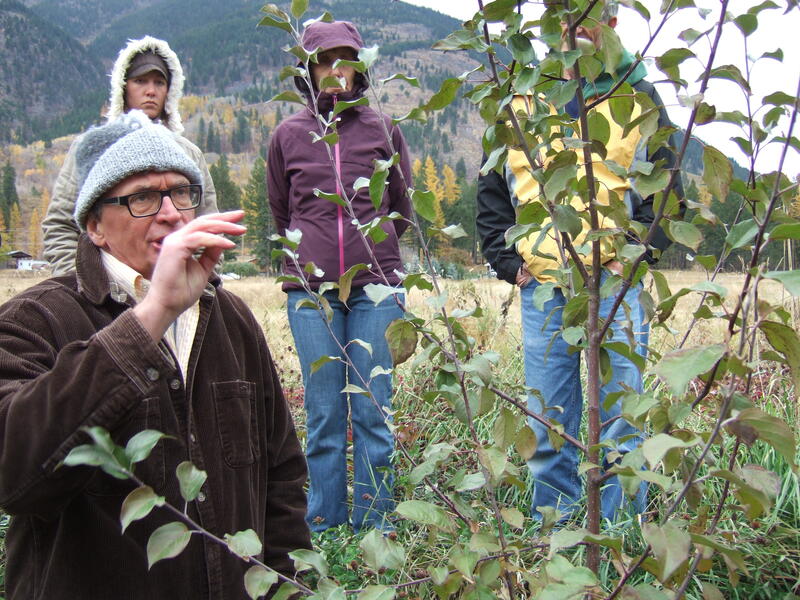 His first book, “Food Forestry North of the 49th – Vol 1: Fundamentals”, will be published in July, 2015. If you are based in the Columbia Valley, you may be eligible for a professional development bursary to attend. Please check here for more details.